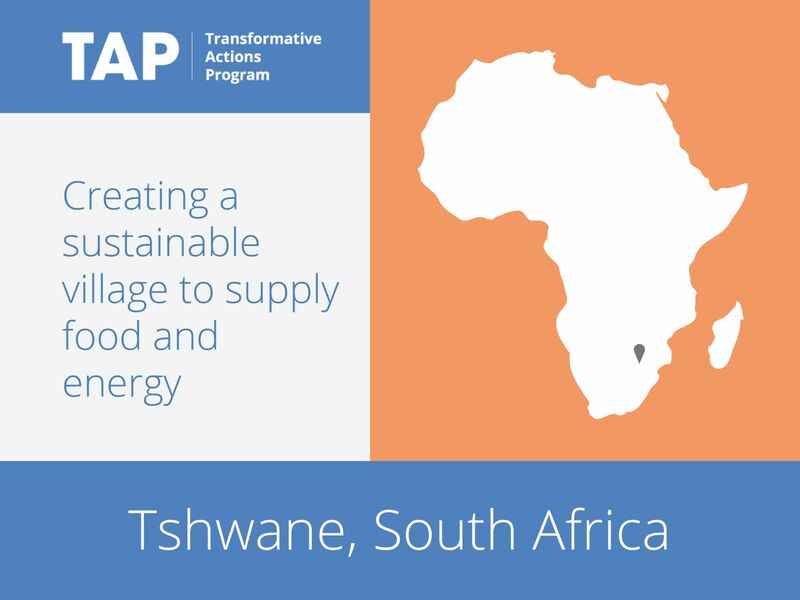 The Tshwane Food and Energy Center (TF&EC) will contribute to the city’s food security through livestock production and to its energy security through the establishment of a solar power plant and through the reuse of organic waste from livestock for the production of renewable energy (biogas). The concept relies on the establishment of a central ‘demonstration’ farm that serves as both an active farm for livestock production and a business support hub to deliver agricultural extension services. Small scale farmers will thus be connected and provided with integrated solutions for food and energy production. It will be a complete agricultural village that will be able to supply food, generate its own renewable energy and employ the poor inhabitants of the surrounding villages. The Food and Energy Centre (TF&EC) project will integrate critical issues of sustainable urban food production, renewable energy generation, SMME development, poverty reduction, employment creation, water use efficiency/optimization, sustainable human settlements, and local economic development.